Stories more likely suited to young adults. Boring. I enjoyed the short stories without a lot of superfluous suspects, clues, descriptions and all unnecessary drama. 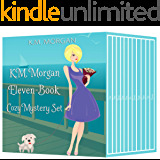 Would recommend to anyone who enjoys short cozy mysteries. 4.0 out of 5 starsGreat collection! Each of these mysteries were interesting and kept you wondering who done it. The very last story in the collection was the least entertaining. For some reason it seemed to drag on, that is why I gave the collection 4 stars. I thought it was terrific. Loved the continuation, of each story. I liked the switch about a whole new person. I really enjoyed these books. 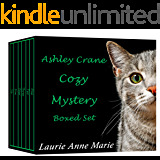 Any one who like mysteries will love these books.